Mesa, AZ, January 10, 2019 --(PR.com)-- Retail merchants using the Clover POS terminal now have access to a powerful new app to easily increase revenues from return customer visits and greatly improve upon customer personalization. Customer Loyalty Accelerator is the first “cash rewards” loyalty app to be introduced on the Clover platform, seamlessly integrating with both existing loyalty programs and the Clover POS terminal. 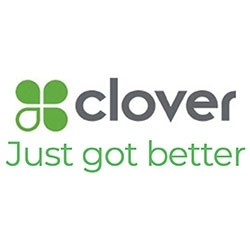 Clover is a subsidiary of First Data Corp., a global leader in commerce-enabling technology, serving over six million businesses and 4,000 financial institutions in more than 100 countries. Clover’s mission is to provide customized POS systems that make running businesses easier and more profitable. Cash rewards have shown a stunning 80% sign up success rate, the highest acceptance rate of any loyalty offering. A cash reward loyalty incentive leverages the rapidly-growing preference among retail customers for simpler programs that offer immediate rewards, versus complicated points-based plans. “The days of cards offering 10 points per dollar or a 1% value proposition are over. The future is all about relevance and aligning the program’s value to the customer,” according to Precima President Brian Ross, a leading global retail strategy and analytics company. Customer Loyalty Accelerator does exactly that, by empowering Clover merchants to identify their best customers and reward them with a merchant-determined, immediate cash incentive to be redeemed on their next return visit. In exchange, the customer provides accurate contact information the merchant can use to greatly enhance personalization and obtain other competitive marketing data so critical in a new era of digital retail marketing. “We are honored to partner the Clover POS platform, to provide a new level of merchant opportunity by delivering relevant and compelling rewards that will drive higher return customer revenues and a great ROI,” said Alan Steinberg, CEO of Encore Incentives, the parent company of the Customer Loyalty Accelerator. The Encore Incentives management team is led by a brain trust of marketing professionals with deep roots in data development and entrepreneurial technology. CEO Alan Steinberg established himself as a pioneering entrepreneur in developing big data analytics at Intel and other major tech companies. Chief Market Strategist Alan Lobock, co-founder of SkyMall, is now an advisor to many fast growing companies and was named a “Start Up Guru” by the Wall Street Journal. Scott Goble, CTO and VP of Engineering, previously served in Microsoft’s Principal Software Development and played a critical role in the launch of Windows 10. Customer Loyalty Accelerator is available for download on the Clover App Market. A Trial Plan starts at just $24.95. For more information, contract Customer Support at 480-686-7033, info@encoreincentives.com or visit CustomerLoyaltyAccelerator.com. The best Clover App for igniting greater revenue in your loyalty program. Get actionable data from your best customers to level the playing field and compete with online competitors. Transform an existing loyalty program into a digital marketing powerhouse. In the State of Loyalty Programs 2019 White Paper, you'll find out how to make your loyalty program really remarkable. Relieve the discount price pressure by Identifying and connecting with your best customers. Clover App Store Subscription plans in PDF format, including features and pricing for Trial Plan, Silver Gold, Platinum and Enterprise offerings.